In a bid to curb road tax evasion, the central government plans a common road tax for the entire nation across states. Soon getting your vehicle registered in a different state to save some money will not be relevant as the ‘One nation one tax’ formula is likely to include road taxes. 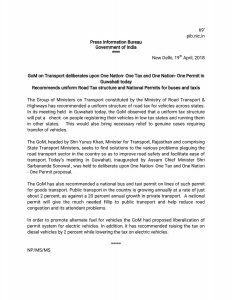 The Group of Transport Ministers, lead by Minister of Transport, Rajasthan Yunus Khan, has proposed a uniform taxation policy in a bid to bring parity in motor vehicle tax across different states. The policy is also meant to ease transfer of vehicles across states. The committee assigned to work on the policy has been asked to submit their report within next 15 days. 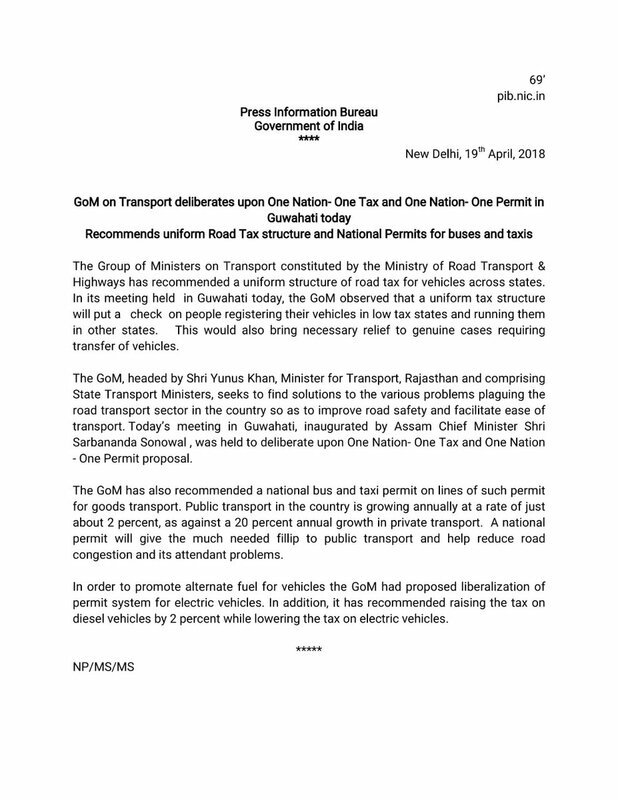 “The group recommends that the motor vehicle taxes should be charged by all the states on the basis of the invoice price of the vehicle,” Khan said. Citing GST as an example, he said that the uniform tax regulation will help to keep a check on tax evasions by car buyers who get their vehicles registered in a state where the road tax is less.”The group examined the taxes charged by various states and observed that the principles of taxation vary from state to state. The Central government has powers to decide the principles on which the motor vehicles taxes can be levied by the states,” Khan said.